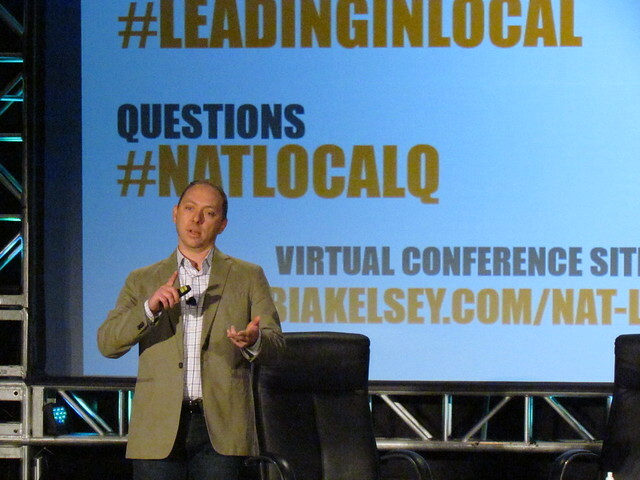 “Deals are very, very powerful for many brands,” but the deals themselves only represent part of the overall opportunity that brands have in working with deals companies and their millions of local customers, said Living Social EVP of National Retail Mitch Spolan, who keynoted today during Leading in Local: The National Impact in Atlanta. The operative question is how do you activate and bring to life a brand’s strength? asked Spolan. It doesn’t always include a deal. In many cases, email, Facebook and Twitter can target local customers with messages — in fact, Living Social regularly achieves 12 percent coverage in given markets using the wide range of social media and commerce tools at its disposal. The company is mostly focused on providing an “integrated experience” that tie brands to Living Social customers. For instance, Living Social provides local specific experiences as part of its brand promotion deal with Miller Coors’ Redd Apple Ale — and “Miller Coors is not selling its products on Living Social,” said Spolan. Consumers are also not going to be buying a Hyundai Santa Fe on Living Social — but Hyndair finds real value in working with Living Social. Living Social “experiences” that are sponsored by brands include a kayaking adventure in Denver, a pirate cruise in San Francisco, a Blues and BBQ part in Atlanta; urban biking in Philadelphia and emerging artist festivals in Washington DC. The company’s base of customers are often larger than brands can achieve on their own, added Spolan. A campaign with a restaurant chain such as Outback will be marketed to larger group than Outback would otherwise have. If brands do want to do a deal or sell an item, however. The volume is potentially huge — or in Living Social parlance, a “Stampede.” Bed Bath & Beyond, for instance, recently sold 378,000 vouchers for an in-store deal. Your spray tan should enhance your look and accentuate your dress. trip to the local pharmacy and see which one is going to suit your own skin, as pharmacists tend to know this better. covers your body with a thin mist of tanner. this side effect of fake tan by exfoliating skin before you use dihydroxyacetone. both the consumer and the professional salons. in beauty contests when they were younger, but for some reason did not make it.